A new Lidl Wine Tour promotion starts today with, as last summer, its focus on Eastern Europe; here are a few highlights from that collection. 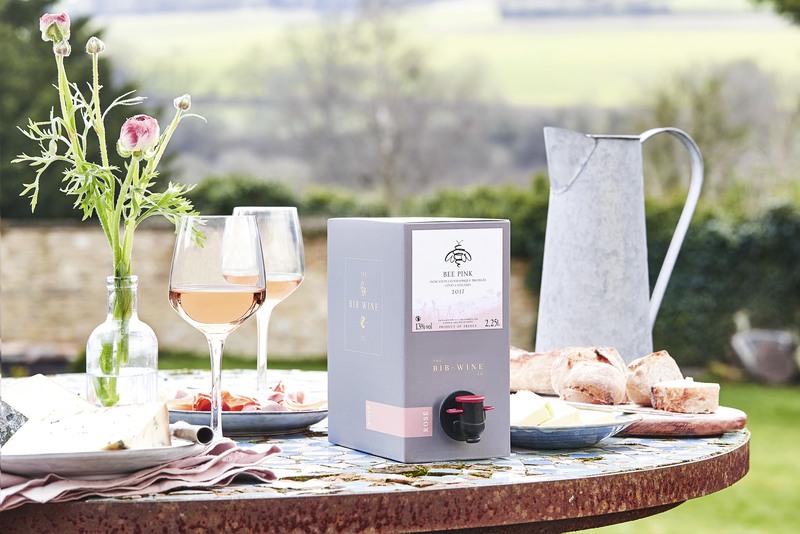 That area currently offers distinctive (if unfamiliar) wines at really attractive prices and few know the region better than Caroline Gilby MW – one of the Masters of Wine Lidl use to help them compile each Wine Tour. Indeed Caroline has just published a new book on wine from that part of the world to give broader insights into what the region has to offer. The next Wine Tour (in September), however, is expected to bring the focus back onto France with wines from Beaujolais, Languedoc and Burgundy. Niederosterreich is probably Austria’s best quality wine producing region with vineyards along the Danube river that seem almost “purpose built” for the country's delightful signature grape – gruner veltliner. That region is home to 2017 Grüner Veltliner Neubern (£8.99 and 13%) that offers the variety’s delightful combination of crisp apple freshness and savoury edged greengage texture that here is embellished by hints of white pepper, basil and tarragon enlivened with a fresh acidic prickle. The really impressive whites in this collection seem to kick in around the £8 mark and this dry white from the Tokaj region in north eastern Hungary is my nominee as the star of this particular collection. Tokaj’s climate is ideal for encouraging the “noble rot” that leads to the region’s brilliant sweet wines but its volcanic geology works well for other wine styles too and seems to draw the best from the hárslevelű grape. Note, in particular, the pronounced citrus aromas in 2017 Carpinus Tokaji Hárslevelű (£7.99 and 11%) which develop into intense sherbet lemon flavours given a twist of sweetness by peach and pineapple ripeness with subdued but discernible acidity. Squinzano is part of Puglia and an area associated in most minds with the negroamaro grape – a name (literally “black bitter”) that suggests – correctly in this case – fruity ripeness may not be the only flavour sensations we encounter. Indeed, there are suggestions of liquorice, mocha, nuttiness and vanilla in 2014 Corte Aurelio Squinzano Riserva (£5.99 and 13%) that are wrapped in gentle acidity and evolving tannin which all tend to elbow aside the wine’s understated plum and red currant fruit. My choice for top red in this collection goes to South Australia and a cabernet/merlot blend that also has a dash of petit verdot but emphatically underlines how dense, fruit driven, southern hemisphere Bordeaux blends differ from the leafier, graphite influenced and more subtle versions from their original homeland. Enjoy the richly concentrated 2017 The Second Fleet Coonawarra Blend (£6.99 and 13%) with rounded bramble and mulberry fruit, limited tannin but excellent acidic balance along with hints of cocoa, figs, fruit cake and cinnamon. Pleasingly, Tesco have a good range of sound entry point 2017 whites – Frascati, Orvieto, Gavi are all typical and reliable – but this one just about gets is nose in front for me, and the current discount gives it a further boost. 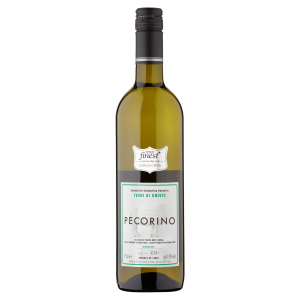 Note how the zippy tangerine acidity in 2017 Tesco Finest Pecorino (£5.20 – instead of £6.50 until 30 July – at Tesco and 13%) complements and accentuates the wine’s apple fruit and textured greengage centred depth. Portugal’s Douro Valley is, of course, port country but increasingly winemakers there are using classic port grape varieties (as they have here) for impressive but well priced table wines. I especially enjoyed the soft and quite subtle blackberry and cherry fruit in 2016 Animus Douro (£4.99 at Aldi and 13%) which is ably supported by cocoa influenced texture and good acidity but only minimal tannin. 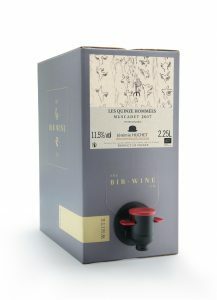 Top Tip: Bag in Box wines are on a roll and can be great but be prepared to head up the price ladder. Those who still remember last century’s (frankly) poor quality versions will – understandably – be wary, but sales of bag –in- box wines (where the airtight internal bag collapses as wine is drawn out) are on the march. Progress is predictable really. Environmentally friendly, lighter and easier to move (a 9 inch x 6 inch x 4 inch box holds the same as three bottles) while likely to preserve wine longer, so many plaudits are there for the taking. Crucially, however, we need to be thinking inside the box – what does it taste like? Here, the news is patchy. Some inexpensive versions are sound but others can be bland and unimpressive. What is encouragingly different though emerges at the higher price levels – driven perhaps by the demand from restaurants to have more mid priced wine available by the glass. We too can benefit from this trend and have a glassful of quality wine instantly available whenever we fancy. That accessibility can hold good for the month or even longer that their retailers contend these wines last – ending, perhaps, any pressure to finish a bottle “before it deteriorates”. Storage of whites can be an issue as the fridge is the obvious place but some writers warn that over cool storage does not help wine. “Box” advocates, however, see no evidence of that happening. Remember though that boxes do take longer to cool down than bottles. A good example of these wines that I enjoyed is the black cherry and blackberry imbued 2017 When in Rome Nero D’Avola (£25.99 for 2.25 litres at Waitrose and 13.5%). While this is nearer to being medium bodied than some examples of the variety, that reduces neither its liquorice, vanilla and allspice depth nor the nippy acidity (but minimal tannin) that accompanies it. Top marks, however, go to whites from a small and more specialised retailer – The BIB Wine Company. The wine’s apple and greengage fruit is supported by good lime acidity with gentle suggestions of green pepper and tarragon. Even better though is the fresh yet rich 2017 Jérémie Huchet ‘Les Quinze Hommées' Muscadet (£37.90 for 2.25 litres at www.bibwine.co.uk and 11.5%). Here blossom aromas lead into initial pear and cooked apple flavours that slowly evolve into grapefruit centred texture with touches of white pepper but an edge of sweetness too. The usual end of month Sunday Best review of slightly more expensive wines will appear in the next post. I discovered the Animus Douro before Xmas last in a new Aldi store that opened close by where I live. I’d been in Portugal a few weeks prior to then and remarked in a review that I drank little or nothing in the way of reds while in that country that came close to the quality and value especially of this Aldi Aminus. I’m so pleased they have kept it on the shelves and it wasn’t just a seasonal special buy. Yes Eddie, it is impressive wine and fantastic value for money. It certainly seems to be a fixture now at Aldi with, the company suggest, reasonable stocks remaining. Must agree with Eddie about the Animus Douro, it’s a lovely drop for the money. Looks like another trip to my local store ( which is about 6 miles away) coming up then. I think you will find the six mile journey well worth while. Did you Peter Turner’s praise for that Second Fleet red on Twitter the other day? Having drunk numerous bottles over this spell of hot weather I have to say that the Hungarian Carpinus Harslevelu is a real winner. It’s light, refreshing, floral, full of fruit and very moreish. It makes a nice change from the regular white grape varieties on offer in the supermarkets. Thanks so much for the feedback Ron. I was hugely impressed by this one too but, if you are in Lidl, do also take a look at 2017 Winelife ‘Zo’ Zoldveltelini (£5.99 while stocks last), it will be a Best of the Rest option on Wednesday. Hungarian Carpinus Harslevelu – What an amazing wine. Usually gone in a few days at the busier LIDL supermarkets. Just a pleasure to drink this lighter dry white wine with such clean fruit flavours.